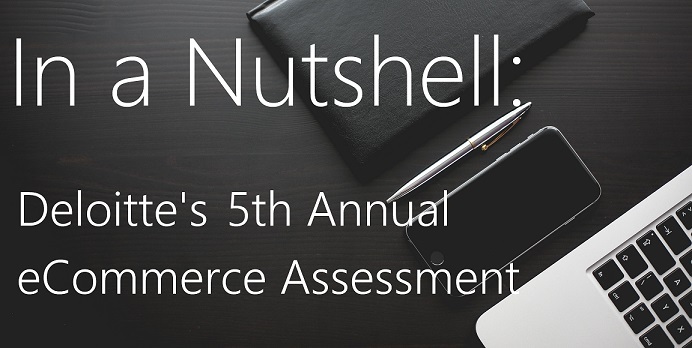 Too busy to read the Deloitte 5th Annual Ecommerce Assessment covering the trends of the top 100 eCommerce Retailers? Of course you are, you have an online business to run! Well you’re in luck, because here at PAARLY we’ve read it for you and we’re prepared to give up the lowdown. First we’ve got Core Capabilities, which won’t differentiate your eRetailer strategy, but they are crucial to success. Next are the trends that are On the Verge, opportunities to improve, where leaders are “paving the way” and the rest are sure to follow. Finally there are the Next Wave trends– visionary capabilities that are leading the market and will undoubtedly shape the retail landscape in the years to come. 84% of consumer purchasing decisions are influenced by someone they know, ranking higher than any other influence out there (news sources, ads, etc.). What to make of it? Consumers are increasingly dismissing traditional forms of advertising in favor of reviews and recs. Use this to your advantage by integrating social media to your site, such as easy “likes” on Facebook. Better yet, use Facebook Connect for easy and fast customer register on your site to reduce the number of cart abandonments that often occur during the registration process. It is no surprise that in 2015, you should be proactively investing in mobile functionality for your customers. 94% of the Top 100 retailers provide mobile-optimized sites and 78% offer dedicated mobile apps. A recent Shop.org study reporting that 55% of all retail-related Internet time occurred on smartphones or tablets. Go mobile, or go home. The importance of online features that provide relevant information to improve purchase decision-making and boost customers’ confidence for buying online is shared by 75% of the top 100 eRetailers. These decision-helping features lead to increased conversion rates and decreased shopping cart abandonment and returns, leaving the eShopping experience much more comparable to its in-store counterpart. Nearly 60% of the Top 100 retailers in the Deloitte survey leverage customer location data and shopping preferences to deliver personalized experiences with specialized catalog views and targeted promotions. Sophisticated personalization is gaining traction as it is one of the fastest growing technological investment plans among top retailers. However despite advances in this capability, retailers are just getting started so we will have to wait a bit longer to see where it leads. 44% of those that have a physical presence allow online customers to check product availability in stores, and 38% allow customers to buy online and pick up in-store. This trend is growing, and for good reason: research suggests a correlation between omnichannel capabilities and growth, with 65% of high-growth retailers operating with customer access to cross-company inventory. The trend of B2B consumerization has increasingly added focus on mobile commerce, as B2B retailers are starting to fundamentally rethink their digital presence. I’ll say it again: go mobile, or go home. One of the main advantages of brick-and-mortar stores is instant gratification. By offering same day delivery when possible, you instantly gratify the customer, and instantly overcome this disadvantage as an eRetailer. When growth slows in mature markets, it may be time to head abroad. 59% of the top 100 eRetailers offer international shipping, demonstrating interest in foreign markets. Globalizing is not a one-size-fits-all solution, as there is a lot to be considered and implemented to attract new customers around the world. Like same-day delivery, this is a “next wave” trend, to be seen more commonly in the future. Of course, you should consider each and every tendency and its potential impact on your business — not every trend is necessarily made for every retailer. However, keeping up with the trends that suit you will help you stay on par with consumer’s ever changing expectations. With all these trends in mind, it is important not to forget the essential advantage of having a high-functioning pricing strategy. You can ride the trends ‘til sundown, but if your prices aren’t competitive, all your other efforts will be in vain. Trends are cool, but pricing intelligence is, well, intelligent. Be both, and supercharge your eCommerce presence. This entry was posted in E-commerce on June 8, 2015 by admin.